NECKLACE - SARAH COVENTRY. 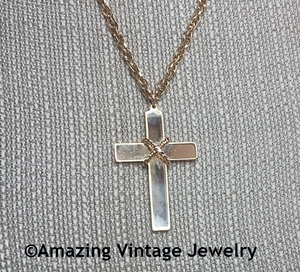 "MARRIAGE CROSS" FROM 1979. 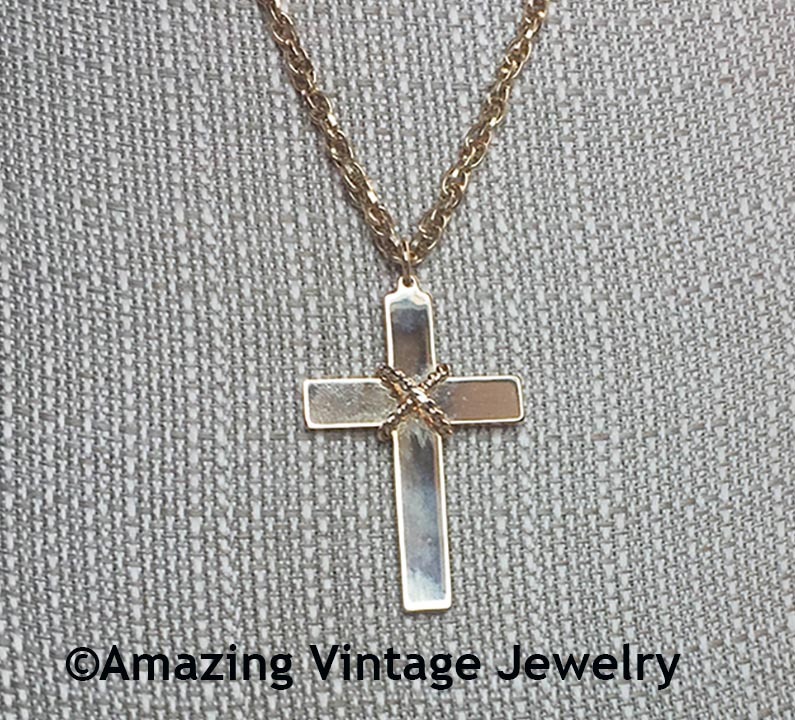 LARGE, SHINY GOLDTONE CROSS WITH BRAIDED GOLDTONE TRIM. PENDANT IS 2 1/4" LONG, 1 5/16" ACROSS. CHAIN IS ABOUT 24" LONG. VERY GOOD CONDITION.